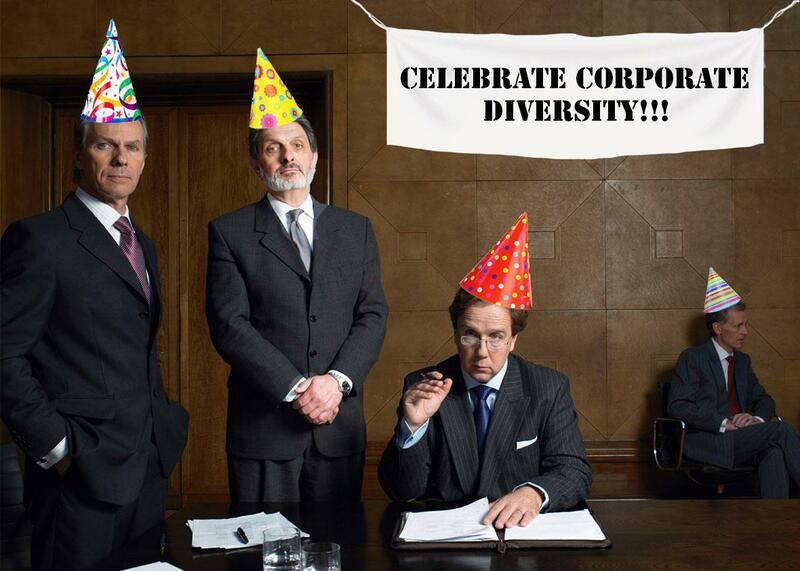 Corporate diversity policies can harm the people they’re intended to help. Badly designed policies can make the problem worse. Studies show that white men feel threatened by many diversity initiatives. Let’s say you’re a CEO, and your staff is overwhelmingly white—especially in the upper ranks. You want to make the company more diverse. So you take active steps: You bring in a consultant to conduct diversity training; you require managers to consider performance reviews and tests to prevent them from only promoting their cronies; you add a sentence about diversity to the corporate mission statement and another to the jobs page on the website. You’ve educated your staff, reformed the promotion process, and made your commitment to diversity explicit. Congratulations! You’ve probably made things worse. That’s the uncomfortable argument of a recent Harvard Business Review article, “Diversity Policies Rarely Make Companies Fairer, and They Feel Threatening to White Men.” The authors, psychologists Tessa L. Dover, Brenda Major, and Cheryl R. Kaiser, have conducted multiple experiments that demonstrate how diversity policies can backfire. In one study, white men took part in a simulated job interview. When they were told that the company they were interviewing with embraced diversity, they worried about being at a disadvantage—and their heart rates rose, suggesting they felt threatened. In another, white participants were told that a company had a statement affirming its commitment to nondiscrimination. The mere existence of the statement convinced the participants that the company treated minorities fairly—even when they were presented with clear evidence of bias. It seems that diversity policies can create an “illusion of fairness” that causes white people to discount complaints of discrimination—making things worse, rather than better, for minorities. That may be why courts often defer to companies that are sued for discrimination when those companies have diversity policies on their books. That doesn’t mean all diversity policies are counterproductive. It’s true that most such programs aren’t tested for effectiveness before implementation, which means that many executives are spending money on useless or counterproductive initiatives. But longitudinal research shows that some kinds of diversity programs succeed in increasing the numbers of racial minorities and women in management roles. So which diversity policies actually work? Sociologists Alexandra Kalev and Frank Dobbin have jointly published several papers assessing the effectiveness of various diversity policies, based on decades of data and surveys of more than 800 firms in various fields. In a paper published last year, Dobbin, Kalev, and their colleague Daniel Schrage argue that successful policies rely on engagement, accountability, and transparency. First, they engage managers in diversity efforts, so that managers feel like they’re a part of the solution rather than part of the problem. Diversity task forces “are just hugely effective compared to the other things that companies can do,” Dobbin told me. “What seems to make them effective is where they bring together high-level people with some regularity to look at the data and try to come up with solutions.” Mentoring programs that match managers with employees from underrepresented groups have also been shown to be effective. Effective diversity programs also create accountability for results. Appointing a diversity manager creates “evaluation apprehension”—a useful kind of anxiety in which the possibility of having to justify their choices leads hiring managers to make fairer decisions. As with task forces, it’s crucial that diversity managers have the support of the top brass and the ability to influence hiring decisions. Even so, the politics of being a diversity professional are challenging: “You have to communicate that people in power are not doing what they should be doing in a way that doesn’t get you fired,” according to the diversity professional I spoke to (who didn’t want to be named). The bad news is that even the policies that improve diversity didn’t have revolutionary effects. Creating a diversity committee improved the odds of being in management by 12 percent for black men—but black men still made up only 3 percent of managers in 2002 (the last year for which Dobbin and Kalev analyzed employment data). “We’ve had decades of innovation and experimentation with different types of programs, and things really haven’t changed in leading corporations,” says Dobbin. “The members of minorities and white women in management are just not where they should be.” There are some exceptional success stories—the consulting firm Deloitte tripled the number of women in top management and eliminated the retention gap between men and women in the 1990s—but the top ranks of corporate America are still overwhelmingly white and male. Given that situation, the fact that good-faith attempts to educate managers about diversity can make white men feel and act defiant might make women and people of color throw up their hands in frustration. Can’t white male managers get over themselves and stop being defensive about efforts to make workplaces more inclusive? I posed the same question to Brenda Major, one of the authors of the Harvard Business Review article on the ways diversity policies fail. She pointed out that even self-proclaimed liberal white men showed a stress response during simulated job interviews with a pro-diversity company: “Even the most well intentioned white men, who were probably trying to get over themselves, showed the same threat effect.” In other words, it’s not easy for white men to change their emotional responses. Happily, that wasn’t the end of the conversation. By the end of the episode, Blumberg had promised to launch an internship recruitment program at black colleges and brought in a “director of people operations” tasked with improving the company’s diversity, both steps with a good track record. Which goes to show that the boss’ intentions matter. If your goal is to avoid lawsuits, burnish your corporate image, and pay lip service to the principle of diversity, you will accomplish that and nothing more. But if your goal is to hire, retain, and promote people from historically disadvantaged groups, you can make unspectacular but meaningful progress—as long as you work with hiring managers and hold them accountable. There’s no silver bullet—but you should at least avoid making the problem worse.